International students applying to study for BA History or BA International History andPolitics in the School of History at the University of Leeds are eligible for a Katrina Honeyman Scholarship. A total of four scholarships will be awarded each year to the students with the highest academic attainment on entry; continuation will be subject to the maintenance of an appropriate level of academic performance. Katrina Honeyman (1950-2011) was Professor of Social and Economic History in the School of History until her retirement. The scholarships are named after her in recognition of her encouragement and support for students throughout her career. To qualify to be considered for a Katrina Honeyman Scholarship, applicants must be an International student applying for entry in 2016 as a full-time undergraduate in level one of BA History or BA International History and Politics. You must subsequently take up a place and remain on an eligible degree programme. The scholarship consists of an annual award of £1,500 towards the cost of fees in each of the awardee’s three years of study (amounting to a total value of £4,500). All International students who are offered a place on V100 or VL22 will automatically be considered for a scholarship. There is no additional application process and provided that the School has received your final examination results, you will be informed if you have been successful by 31 August 2016. 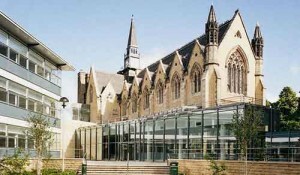 For more information, please visit official website: www.leeds.ac.uk. Demikian kami sampaikan tentang Katrina Honeyman Scholarships for International Students, University of Leeds, UK semoga informasi tentang Katrina Honeyman Scholarships for International Students, University of Leeds, UK ini bermanfaat.